Tom serves as Chairman of Summit. He came to Summit from Blunt, Ellis and Loewi/Kemper Securities in 1991, where he was employed as the regional brokerage firm’s First Vice President and Investment Strategist. Tom brought Summit his concept of disciplined fundamental investing that forms the basis for many of the company’s equity strategies. Under Tom’s direction, these strategies were first offered to clients in late 2002. Tom was named Chairman of the Board in 2008. 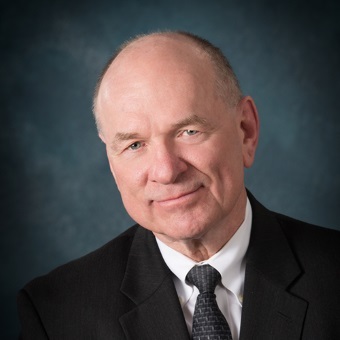 After earning his MBA at Northern Illinois University, Tom was hired by Blunt Ellis & Loewi as an equity analyst in 1972. He was tasked as a generalist to discover attractive small growth companies across all industries. His success as an analyst brought him to the attention of upper management, and in 1984 he was made the company’s Director of Research. In that position, Tom oversaw the work of a dozen analysts that included pioneer work in the water industry for which the firm became nationally recognized. He also served as the Chairman of the Stock Selection Committee which decided the designation of the rating that Blunt Ellis & Loewi gave to companies – buy, hold, or sell. Additionally, Tom was a member of the Due Diligence Committee which reviewed companies prior to their Initial Public Offering (IPO) to make sure that they met the brokerage firm’s standards.